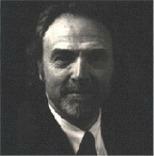 Although Peter Crowther enjoyed some modest short story successes in the early 1970s, he concentrated the following 16 years on freelance music and arts journalism (interviews including Frank Zappa, Brian Wilson, Cliff Richard and David Puttnam) and as head of corporate communications for one of the UK's biggest financial institutions. He returned to the literary field via freelance review columns, interviews and articles. Assignments included interviews with Ramsey Campbell, Patrick McGrath and Jonathan Carroll (at Carroll's own invitation) in the horror / fantasy field; noted science fiction writers Ray Bradbury, Ian Watson and Harlan Ellison, and, in the crime genre, Ed Gorman, Andrew Vachss and Robert B Parker. His first fiction for almost 20 years appeared in 1990 in the British magazine Fear, while his second and third new stories sold to Dark Voices 4 and Darklands 2, the latter tale being described by Interzone as 'an object lesson' in how to write a ghost story. Since then, he has sold a further 70 stories to a variety of anthologies and magazines. "An epic tale ..manipulating and motivating her characters believably through a world that is almost too horrific to imagine..."
"...beautiful prose in this brooding and mysterious tale... A first class novel." "Escaping Purgatory is a real Fourth of July firecracker of a book. I hope you treat it with all the reverence it deserves. Stuff of this quality is far too thin on the ground for any of us to be complacent."